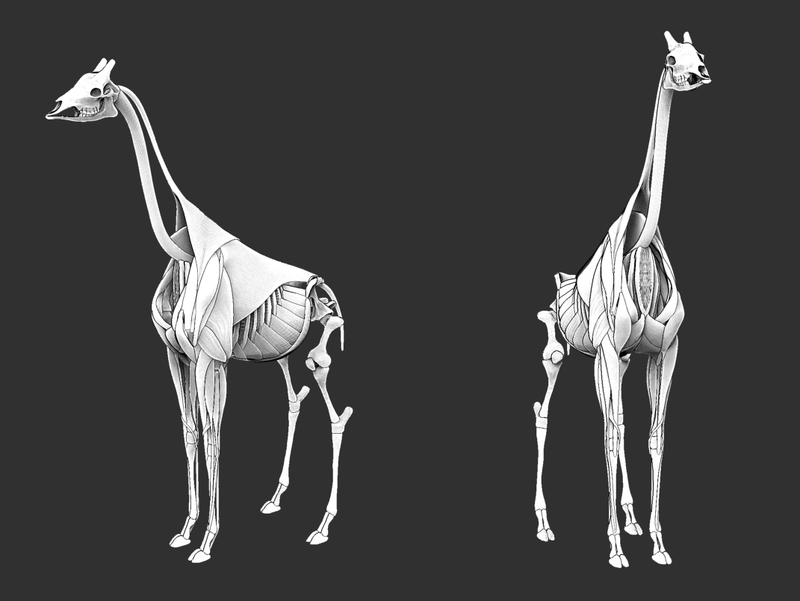 I have been working on this giraffe ecorche on and off for a while, as I have had some irl work. But this is how far I got. Hopefully I can spend more time on it and finish it relatively soon. 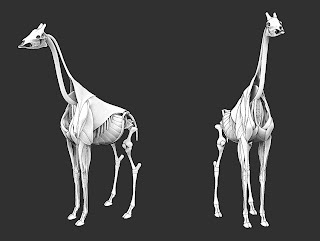 Why a giraffe, instead of a standard horse? A horse may have been better as the knowledge could be adapted to this and other animals more easily. But I was never planning to do a full ecorche... only a quick study before getting into another piece (involving a giraffe). And now I want to finish this lol.